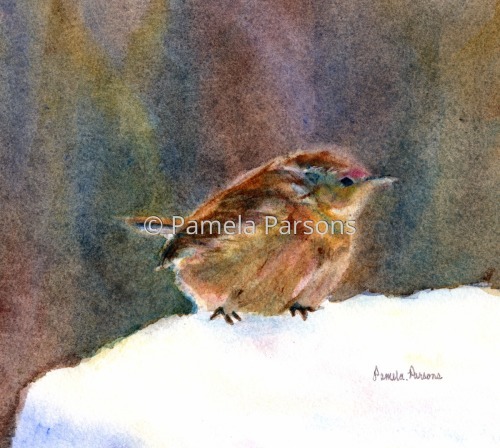 This watercolor painting is a mother wren who came each year to build her nest under the eave. 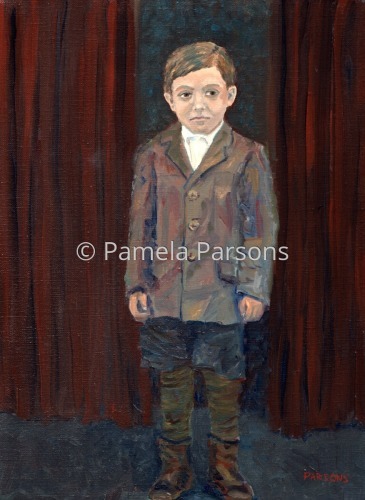 5" x 5.5"7" x 7.75"9" x 10"11" x 12.25"13" x 14.5"
Oil on canvas painting from a black and white vintage photo of my great uncle posing for a formal portrait. 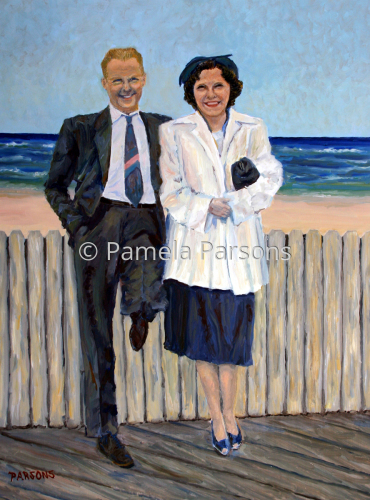 6.75" x 5"12.25" x 9"17.75" x 13"
Oil on canvas portrait of my grandparents from a vintage black and white photograph. 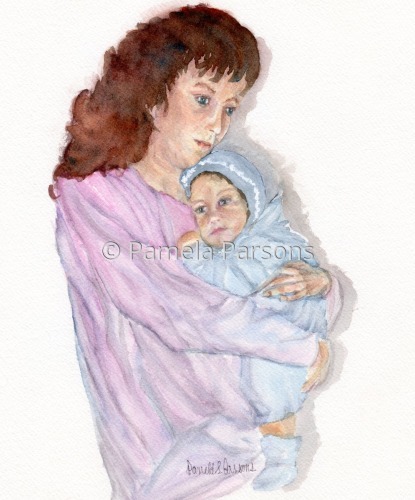 Watercolor painting of the Artist with her son. 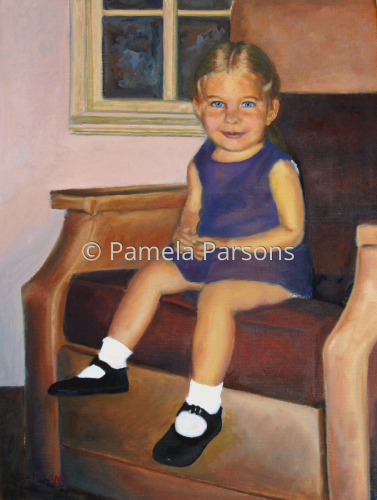 6" x 5"12" x 10"18" x 15"
Oil painting of the Artist as a child. 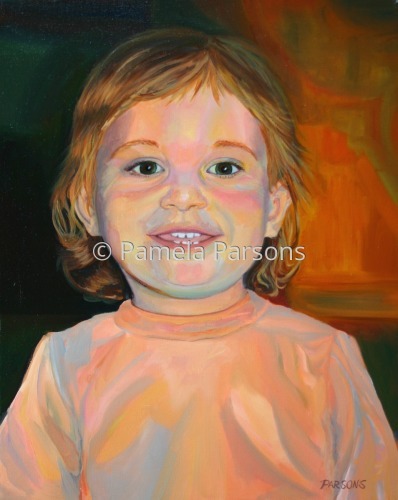 Oil painting of the Artist's son. 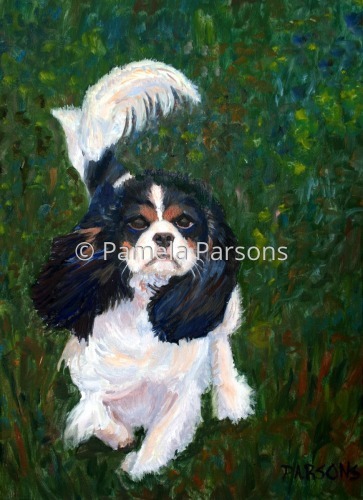 This is an Oil painting of a Cavalier King Charles Spaniel show dog. 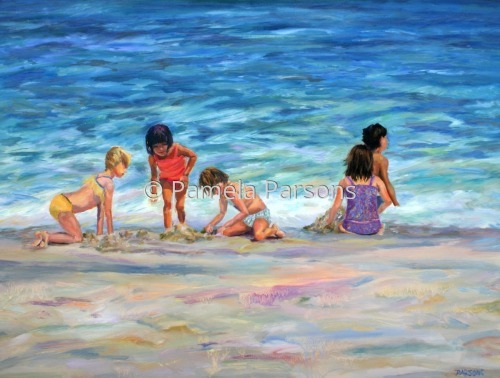 7" x 5"8.25" x 6"9.75" x 7"11" x 8"12.5" x 9"13.25" x 9.5"